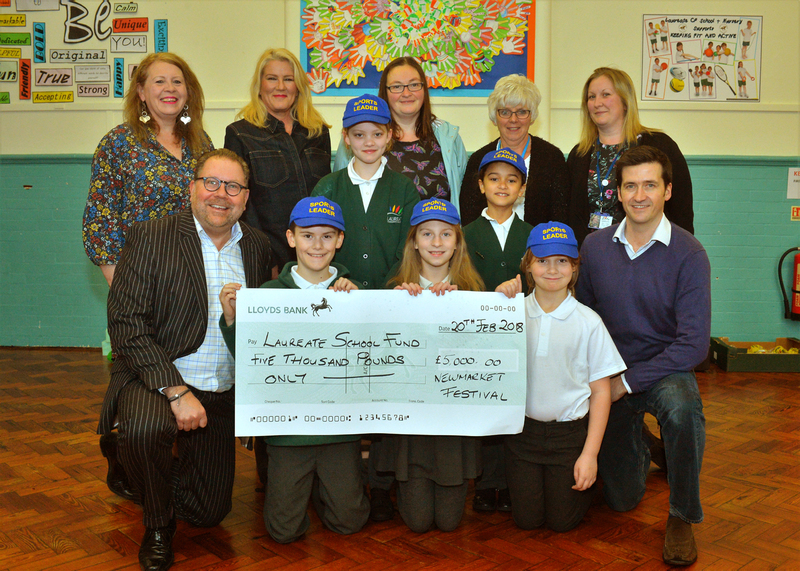 The Newmarket Festival were delighted to recently contribute £5,000 towards the Golden Mile project at Laureate Primary Academy on the Exning Road. The money from the Newmarket Festival will go towards the refurbishment of the ‘Golden Mile’ track, which is due to re-open after the Easter holidays. The initiative helps to encourage children to run the 200m track in return for wristbands, which are collected and contribute toward a team total. The new surface will be an all-weather surface and be made accessible for all pupils, making it suitable for wheelchairs. Funds have also been raised by the school’s PTA.